The Forever Inspired Coloring Books are designed specifically for younger colorists. This exciting new series includes tons of whimsical illustrations designed to spark creativity in growing young minds and to provide hours of fun at the same time! Additionally, the books’ outlines aren’t overly complicated, so coloring can be a blast for the whole familythey’re perfect to share with a younger sibling, a friend, or even a parent! 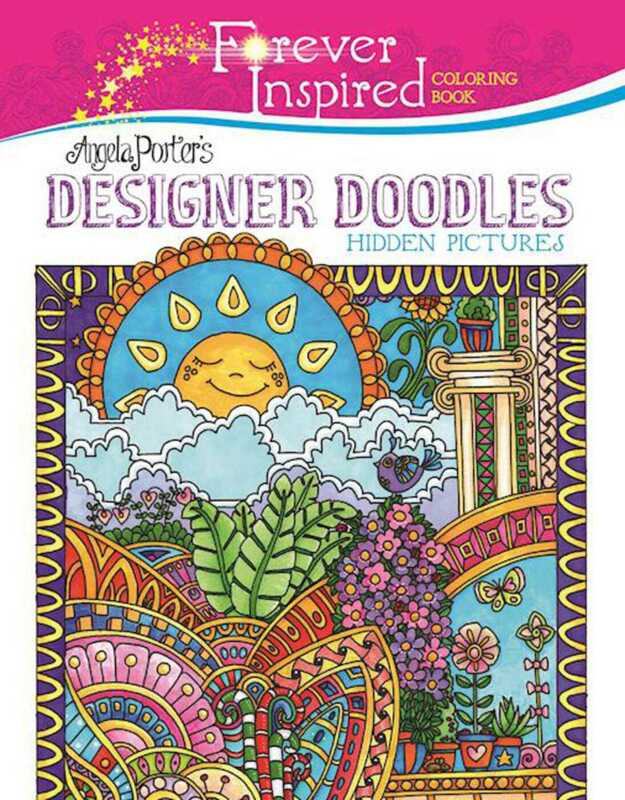 Forever Inspired Coloring Book: Angela Porter’s Tropical Rainforest Hidden Pictures features forty-four beautiful black-and-white rainforest designs for Tweens to color. Created by New York Times bestselling illustrator Angela Porter, these unique and fun designs employ Porter’s trademark hand-drawn and whimsical style but cater to a younger audience. This book includes beautiful images of tropical rainforest animals and plant-lifeparrots, snakes, flowers, trees, and more! Adding an additional element of fun, these doodle illustrations also contain hidden pictures for Tweens to find and fill with color throughout the book. As an added bonus, each page is perforated so that Tween colorists can easily remove their masterpieces and use them to decorate any place or space they want towhether it’s their bedroom ceiling or their locker at school! It’s never been simpler to share and display their creations with their pals. So grab a copy for your young colorists, and see them be transported by the beauty of the rainforest with Forever Inspired Coloring Book: Angela Porter’s Tropical Rainforest Hidden Pictures.